Brand: Fat Daddios FD-SMF061 Units: 1 Variety molds are perfect for cake, pastry, chocolate, and so much more. The flexible material allows for easy unmolding of the most delicate of foods. Naturally non-stick, each mold requires little or no release coatings. Temperature resistance to 550 degrees allows for a wide variety of uses. Each pan measures 12" x 7" overall with an average cavity measurement of 3". 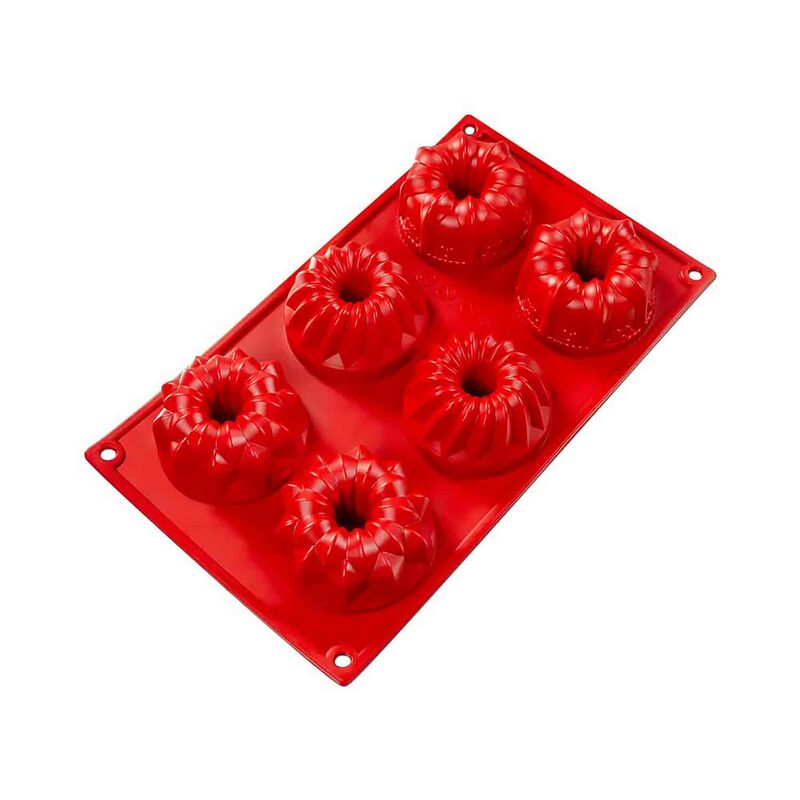 Variety molds are perfect for cake, pastry, chocolate, and so much more. The flexible material allows for easy unmolding of the most delicate of foods. Naturally non-stick, each mold requires little or no release coatings. Temperature resistance to 550 degrees allows for a wide variety of uses. Each pan measures 12" x 7" overall with an average cavity measurement of 3".